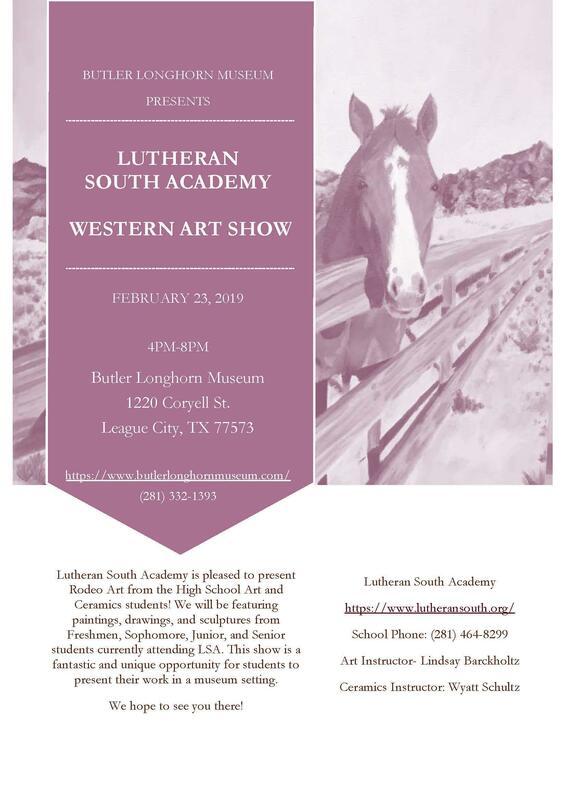 Lutheran South Academy is pleased to be partnering with the Butler Longhorn Museum to present Rodeo Art from the High School Art and Ceramics Students! We will be featuring paintings, drawings, and sculptures from Freshman, Sophomores, Juniors, and Senior students currently attending LSA. This show is a fantastic and unique opportunity to see student work in a museum setting. Opening night will be from 4PM-8PM on February 23rd. We hope to see you there!